What might look like a fallen twig in the road is actually a migrating spotted salamander. Photo: Justin Dalaba, USFWS. As we slide into our rain gear, the spotted salamanders are already sliding down the hill, making their way toward the wetland across the road. Driving here was like living in a game of Frogger, only we were the car. Switching roles now, we park the car and begin escorting as many of these slippery critters across the road as possible. What had looked like fallen twigs from the car are actually slow-moving salamanders getting crushed by oncoming traffic. I am joining New York Field Office biologist, Noelle Rayman-Metcalf, on a volunteer mission to document and help migrating woodland amphibians. Spotted salamander that emerged from the forest floor on a rainy night. Photo: Justin Dalaba, USFWS. Salamanders represent one of the largest sources of biomass of all vertebrates in the forest landscape. They also can help us by eating pest insects, like mosquitoes that breed in the same vernal pools as them. Just beneath the forest floor are countless hibernating frogs and salamanders, awaiting the first heavy rain after a spring thaw. Typically, late March and early April are when they resurface from their winter homes, but with unseasonably warm weather this year, some woodland amphibians came out early. 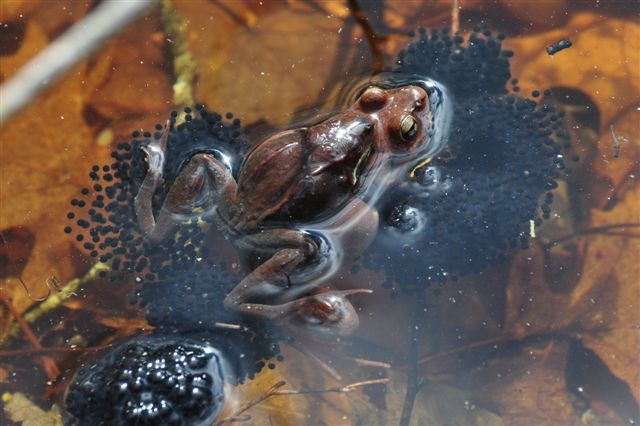 By early March, spring peepers and spotted salamanders are emerging from the earth, half-awake and on auto pilot to make it to the wetland and breed. This migration has been happening for tens of thousands of years in the forests of New York State, except one thing is different now: we have placed roads in the middle of their route. A spotted salamander waits at the roadside, as if pondering whether or not to cross. Photo: Justin Dalaba, USFWS. It’s a double-edged sword because roads have made it much easier to see and document this impressive migration, but now there is a spike in fatality. Driven by instinct, these amphibians all travel in one direction, while cars are streaming from both. Some are lucky enough to escape the 4 wheels overhead, but for a vast majority, luck fails. Spotted salamander makes his way toward the headlights of a car, attempting to cross over to the wetland on the other side. Photo: Justin Dalaba, USFWS. That’s where we come in, acting as a free lift service for migrating frogs and salamanders. One salamander pops his head up over the roadside, another is already making a slow dash in the middle of the road, and then a peeper springs into the action! We quickly grab those in sight and safely transport them to the other side of the road. I can’t help but think about how many slip past the two of us before we can rescue them. I can only imagine what passing cars are thinking as they see our bright orange vests on the side of the road at 10:00 pm in the wind and rain. A spotted salamander pops its head over the edge of the road after coming down the hill from the woods. Photo: Justin Dalaba, USFWS. There is a small crew of volunteers in Central New York who maintain this late night tradition when the warm spring rains fall. This is part of a larger effort for the NYSDEC’s Amphibian Migrations and Road Crossings Project, which so far has helped more than 8,500 amphibians cross New York roads safely. Others are helping make a difference across the Northeast as well. In Massachusetts, salamander tunnels have been installed to allow safe crossing. Some areas have even begun to periodically close roads to allow the hundreds, if not thousands of amphibians to make it to their breeding pools without the risk. Lending a helping hand to make sure this salamander safely crosses the road. Photo: Justin Dalaba, USFWS. With spring still a few weeks away and sporadic temperature changes ahead, there could be more nights like this. If you know of a breeding location or want to lend a helping hand in this effort for the Northeast, you can find a local volunteer opportunity near you. When you’re driving near a wetland, be sure to use extra caution on rainy nights, and be aware there may be volunteers and amphibians out and about. This entry was posted in Blog entries, Climate Change, Habitat restoration, Science and research, Wetlands and tagged amphibians, citizen science, environment, forest, fragmentation, nysdec, road, spotted salamanders, spring peeper, volunteer, wetlands wildlife on March 13, 2017 by Justin Dalaba. With American Wetlands Month, May, coming to a close, we’d like to take some time to recognize the importance of our Northeast wetlands and the work that our experts are doing to protect them. Wetlands act as the kidneys for our communities, cleansing water, filtering pollution and sediment, and regulating nature’s systems. They are most simply defined as the vital links between land and water. Some of their characteristics, such as flooding and insects, earned wetlands a bad reputation in history, and people filled them for farming or building. Research revealed their true values—drinking water, flood control, buffers for extreme weather, different habitats and wildlife, and places for fishing and other recreation—and legislation, namely the Clean Water Act in 1977, marked our need to protect them. Loss of our wetlands has slowed in the U.S., and while we’ve made great strides, our national remains on an alarming downward trend. A report released last fall, the Service’s National Wetlands Inventory Status and Trends Report, shows that the rate at which we’re losing wetlands more than doubled from 2004 to 2009. During those years, we lost a net 62,300 acres. In the Northeast, areas of Maine, New Hampshire, Vermont and upstate New York experienced the highest rate of freshwater wetland loss. We’re still learning about these unique spaces, and one of our very own, ecologist Ralph Tiner, has been hailed as a top influence of wetlands science. 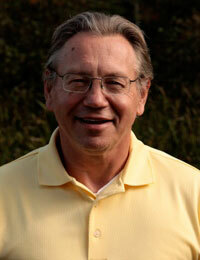 Ralph, the Northeast wetlands inventory coordinator, was recognized by the Society of Wetland Scientists for his seminal paper on geographically isolated wetlands. The paper, “Geographically isolated wetlands of the United States,” was identified and featured in the international journal Wetlands as one of 30 scientific papers furthering the field of wetland science during the past 30 years. His paper emphasized the importance of our nation’s “geographically isolated wetlands,” a term he coined and described as wetlands that are completely surrounded by upland at the local scale. At the time, regulation of such wetlands was relaxed due to Supreme Court decisions. The term is now part of the lexicon of all wetland scientists, and his definition has been widely accepted as the standard. Among these wetlands are vernal pools,Carolina bays of the Atlantic Coastal Plain, prairie pothole wetlands of the upper Midwest, coastal plain ponds, karst basin wetlands, and Great Lakes alvar wetlands. 4) vital stepping stones for birds and other animals migrating across dry landscapes. Since isolation promotes development of unique wildlife, many rare and endangered species can be found in such places. Some states have enacted legislation to include these wetlands in their state regulatory programs, but many states have no state wetland regulation at all and rely on federal efforts to manage and conserve wetlands. Natural resource agencies and organizations need to work with private landowners to conserve these vital wetlands. We recently worked with reporter Anaridis Rodriguez at our local news station, Channel 22 WWLP in Chicopee, Mass., to chat about the role that wetlands play in our environments. Watch the video. This entry was posted in Blog entries, Contaminants, Science and research, Wetlands and tagged Blog, ecological services, wetlands wildlife on May 29, 2012 by U.S. Fish and Wildlife Service.